The Peony Pink was the inspiration for the Peony line of Flower Petal cremation urns. 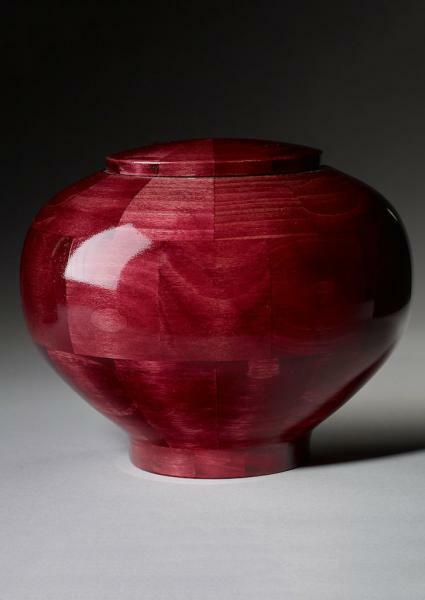 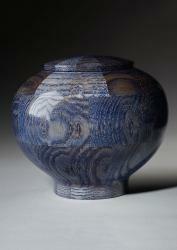 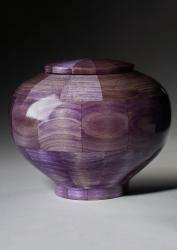 After dyeing the wood turned urn, the vibrant, bright pink color is very close to a peony flower. 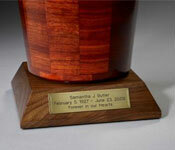 This feminine celebration of life is one of our more popular urns and one of Steve�s favorites. 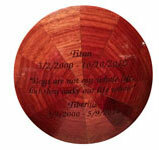 The Peony Pink cremation urn comes in keepsake, small, and large sizes for children, adults, and beloved animal friends.